• 90mm high flow waste required 45571 . 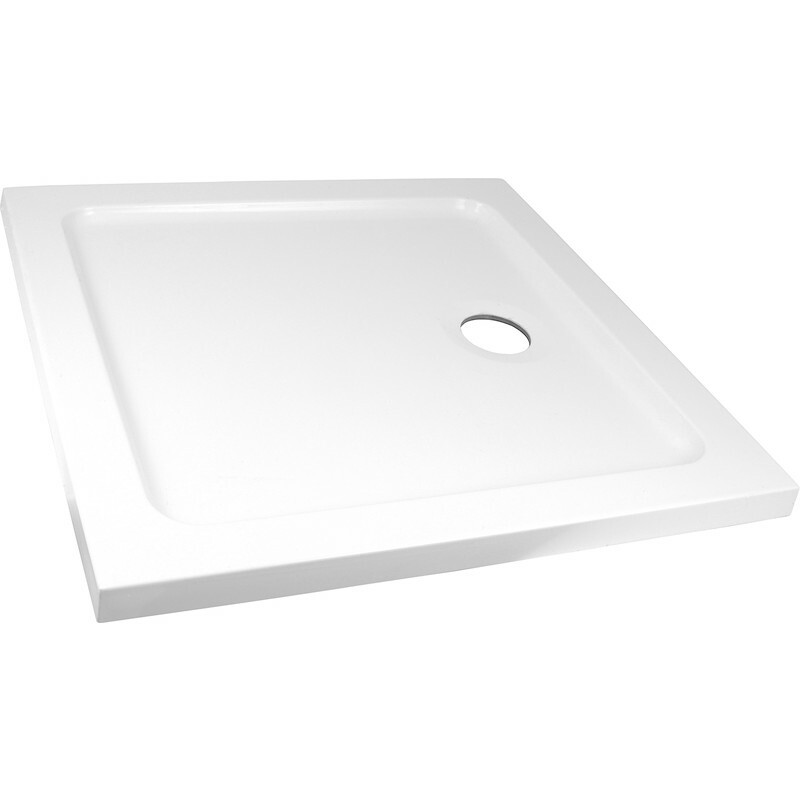 Resinlite Low Profile Shower Tray 800 x 800 is rated 4.2 out of 5 by 9. Rated 5 out of 5 by Alwyn the Retired from Looks like ceramic but much lighter We have a recess to fit our walk in shower. We realised that a ceramic/stone shower tray would be too heavy to lift into the recess (32kgs) so went for the 13kgs acrylic tray. Especially because we would have to lift the tray over the sink. It says to store the tray flat even though it is so light. We left it on its ide the first night and it had slightly bevelled.. We kept it flat after that and the bevel has gone. Very solid and great looking. Rated 5 out of 5 by Campfreddie from Light weight. Got this light weight tray as it was in difficult position. Really easy to handle and when job was finished you wouldn't know it wasn't heavy stone tray. Rated 3 out of 5 by Dan Gleebles from Not exact fit. Tray is as described except dimensions are all +5mm. The disclaimer in the small print gives a margin for error but this is poor when you think how every other tray measures up fine. Measures 765x905. Ok for new install but frustrating if need a direct swap in an alcove. Only purchased because of waste position restrictions. Would not rush to get another. Rated 5 out of 5 by Baz1949 from Great shower tray. I had to cut a small section in the front on both sides so it could fit around the old tiles as this one was a little deeper then the one I was replacing. Using a tenon saw made that task easy. Rated 4 out of 5 by Sedbloggs from Lightweight and appears solid enough Fitted for a customer (using the riser kit) and looks and feels good. For info, if the tray you are buying is rectangular, the waste hole is located along the length of the tray, as opposed to the end - the product item does not make this clear.